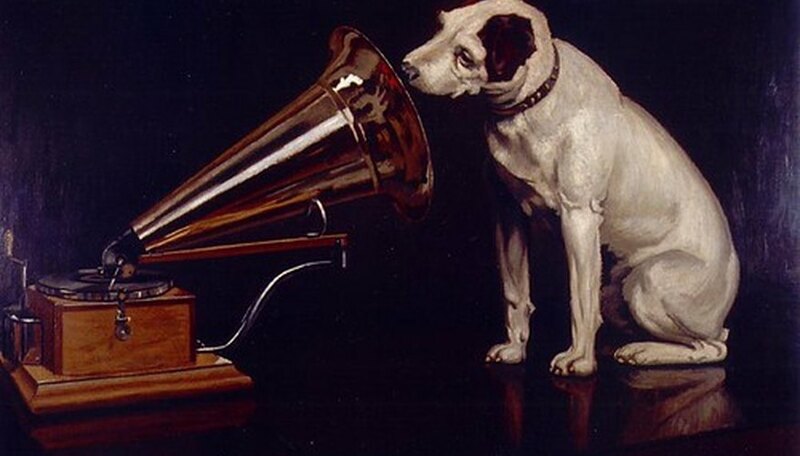 Gramophones, sometimes referred to as phonographs, were early audio devices designed to play back previously recorded sounds. The basic design of the gramophone is fairly simple by modern standards, employing few different parts in operation. One of the most important parts of a gramophone is the disc record. First introduced in 1892, these discs were available in a variety of sizes from 5 to 10 inches and eventually, in 1908, a double-sided version. The turntable portion of the gramophone used a round steel or aluminum spindle topped with a rubber disc. This assisted in keeping the audio disc in place and isolate the vibrations as the steel disc turned. Inside the gramophone, the spindle would be run with either a belt or an idler wheel. To reduce friction and noise from the rotation, the device employed roller bearings. The stylus is the part of the gramophone that made contact with the audio disc to read the music. Early models employed sapphires and diamonds until being replaced by copper or steel in the early 1900s. Early models of the gramophone used a large horn protruding from the device to project the sound. Later models integrated the horn into a full cabinet design. Volume was controlled with a large muffling ball placed in the opening of the horn.